Spring is here and with it soft bumps for the Bear Mountain Mogul Challenge at Killington and a pond to skim at Okemo this past weekend. 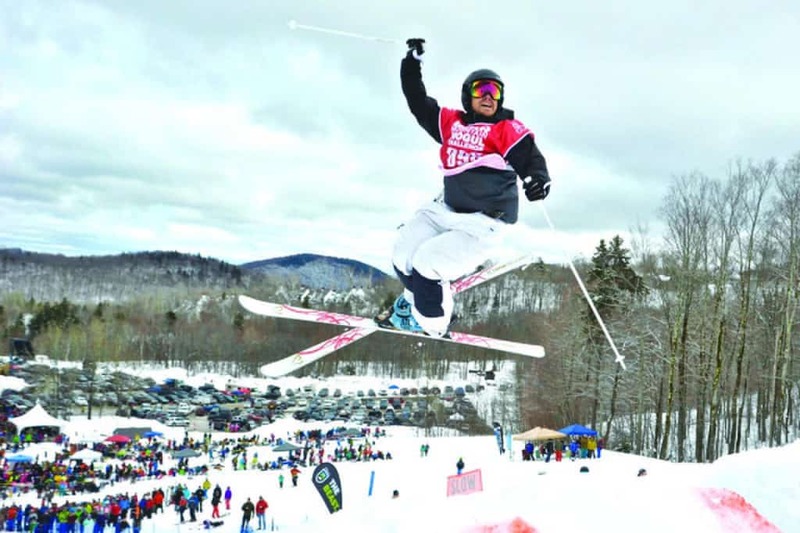 Looking ahead, Killington will host its pond skimming event this Saturday, April 15. Such events have become annual rites of spring. Crowds turn out to watch and enjoy the relative warmth, spring skiing and riding, live music and perhaps a few adult beverages. This weekend will mark the 173th operating day at Killington Resort. A Bear Mountain Mogul Challenge competitor on Saturday, April 8, pulls a 360 Iron Cross off a jump mid-run to the crowd’s delight.